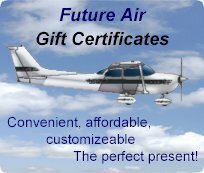 Georgian College has contracted with Future Air to provide the Flight Labs that are the practical training required by its Aviation Program students. Georgian College recognizes the fact that the graduating student from the Aviation program should be well rounded in aviation and that the student receive a structured foundation in aircraft cockpit environment as part of their education. The airborne orientation laboratory is designed to introduce students to various aspects of airline flight planning, airport layout, Air Traffic Control, aircraft and flight. Flight Lab modules 1 and 2 (AVIA 1002) are designed to be the laboratory portion of the existing Aviation Orientation course (AVIA 1000) while modules 3 and 4 are designed to be the laboratory portion of the existing Navigation and Navigation Aids course (AVIA 2002). In keeping with Future Air's own training program that stresses safety in all things aeronautical, the safety of the students is a prime factor in how these Flight Labs are delivered. All flights are conducted in day VMC conditions only using land based aircraft. No aerobatics are performed. Based at Lake Simcoe Regional Airport, the Flight Labs provide the students with 4 hours in the cockpit of an aircraft, doing tasks that are aligned with the theory taught in the classroom. They also receive an additional 5 hours of ground briefing. Aircraft familiarization, taxiing, Attitudes and Movements, Straight and Level, Climbing and Descending and Turns. Normal Take off, The Circuit, Normal Landings, Crosswind, Short and Soft Field Take offs and Landings, Range and Endurance, Slow Flight and Side slipping. Cross Country flight departing from Barrie, fly to Kitchener International Airport then onto Owen Sound and then return to Barrie. Basic Instrument Flying, VOR and GPS usage, Basic Holding procedures, Simulated precision and non-precision approaches, Simulated Holds.